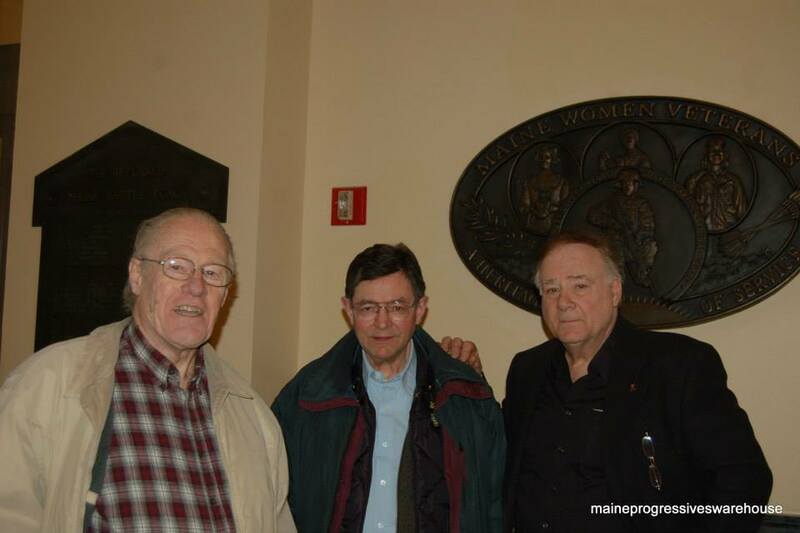 Wayne Leach, an unnamed supporter and Phil Merletti in the Hall of Flags, 1/8/15. On the day that Governor Paul LePage swore Maine’s three constitutional officers into office (albeit breaking from modern day tradition with two behind closed doors in his cabinet room and the third publicly in the Hall of Flags), there were a few other people of note outside the governor’s office and trying to get a few moments with LePage- to wit, his chums Phil Merletti and Wayne Leach. You remember… the ones, along with Aroostook Watchman Jack McCarthy that Mike Tipping made famous last year? Here’s a timeline to refresh your memory. Anyhoo… seems that a little birdie told these fellas that they would be well served to submit an amicus brief to the Maine Supreme Court, as part of Governor LePage’s going to the Maine Supreme Judicial Court to squeal on the oh so very mean Attorney General Janet Mills, who won’t let Paul play with all the toys. He hasn’t been so mad since the Legislative Council made him move his TV from behind the stairs! It is a wonder, to be sure. But see for yourselves! Here are the entire proceedings, as shared on the State of Maine Judicial Branch “Governor’s Request for Opinion of the Justices” page of the case. Click on “Brief of Lise McLain and Dorothy Lafortune”, to find where Merletti and McCarthy pop up. On Friday January 23, 2015, the Governor of the State of Maine, Paul R. LePage, referred two questions to the Supreme Judicial Court related to the legal representation of the Governor and the Executive Branch in litigation. A copy of the letter setting forth the questions is linked to below. the law regarding either or each of the questions propounded. Any person or entity wishing to submit a brief to the Court shall do so by filing the brief with the Clerk of the Supreme Judicial Court, in Portland, at 205 Newbury Street, Room 139, Portland, Maine 04101, at or before noon on Friday, February 6, 2015. Briefs shall not be longer than thirty pages, double spaced. Responsive briefs are not required, but may be filed by any person or entity that filed an initial brief, at or before noon on Friday, February 13, 2015. Responsive briefs shall not be longer than ten pages, double spaced. To facilitate public and judicial review of all filings, the justices request that an electronic copy of any hard copy brief filed be emailed as a pdf file to lawcourt.clerk@courts.maine.gov. Oral Argument will be held on February 26, 2015, in Portland at 10:00 a.m.
Brief of Peter Brann, Esq. Now this is where the legal clown car gets a tad crowded- the above “Motion for leave to participate in the oral argument“. Merletti and McCarthy asserted today in court that their vast experience as researchers is required by the Court, for the Court to fully understand the case. Needless to say, this motion was summarily denied by the Court. UPDATED: Here is a clip of Bangor’s Ben Sprague providing similar testimony to Appropriations against revenue sharing elimination in 2014. 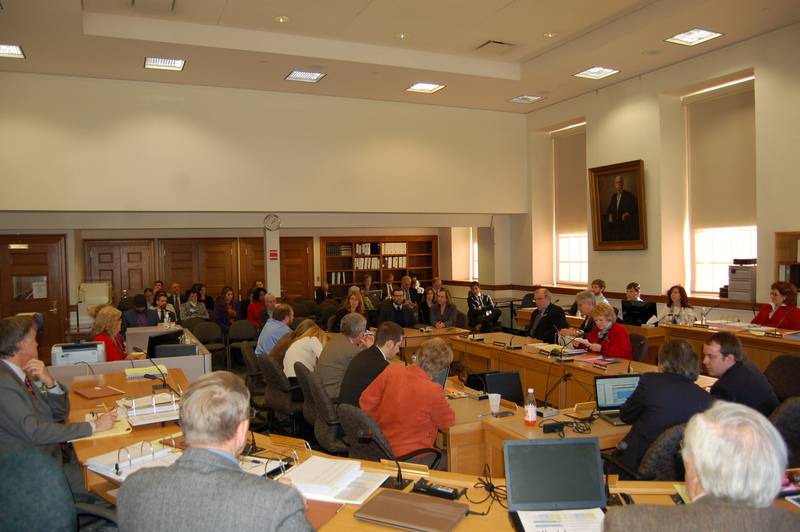 The 127th Maine Legislature’s Appropriation and Financial Affairs standing committee on Wednesday heard more from the public on the second day of scheduled testimony on the FY 2016-17 biennial budget proposal put forth by the LePage administration last month. Governor LePage and his new Office of Policy and Management (OPM) Director, Auburn Mayor Jonathon Labonte, held a public town hall in Westbrook last week to discuss the proposal. AFA Committee member Rep. Gay Grant (D-Gardiner) asks a question of DAFS Commissioner Rosen, as Rep. Linda Sanborn, Sen. Linda Valentino, House Chair Rep. Peggy Rotundo and Rep. John Martin look on. Day 2 was focused on how the proposed elimination of municipal revenue sharing, a hot topic in the last legislative session, would adversely affect local budgets and force towns across the state to either cut services or raise property taxes. Many communities have already had to make drastic cuts due to the previous budget’s 32% revenue sharing slashes. The following statements were part of a press release sent out by Maine House and Senate Democrats late Wednesday. Winslow Town Councilor Ken Fletcher, a former lawmaker and LePage’s former energy chief, testified that the elimination of revenue sharing would result in the loss of approximately $940,000 – an amount that is greater that the town’s public works, police or fire budgets. He expressed concern about the increase in the property tax burden that would result from the loss of revenue sharing and the governor’s proposed elimination of the Homestead Exemption for those under 65. “It is generally accepted that property taxes are the most regressive of the three primary tax methods. Please do not place more of a burden on Maine homeowners by underfunding Revenue Sharing and eliminating the Homestead Exemption,” Fletcher said in his testimony. Many thanks to Bangor City Council’s Ben Sprague for sharing his testimony. Thursday marks the third day of public hearing, so more to follow. Back in January, Maine Governor Paul LePage and members of his administration presented the FY 2016-2017 biennial budget proposal to the state. Since then, various members of the administration have met with the 127th Legislature’s Appropriations and Financial Affairs standing committee (with other committees, as applicable) on multiple occasions, met with the public, and held numerous press conferences to sway not just members of the public but also their own party to support the proposals. Now, it is the public’s turn to speak up. Maine House Democrats shared the following summarized testimony presented to the committee on Tuesday. Among others who spoke to the committee was Davida Ammerman of Madison, whose testimony is below. Representative Rotundo, Senator Hamper, Representative Goode, and Senator McCormick, thank you for having me here today to speak with you. I am here today to ask you to oppose the cuts to corporate and income tax in the Governor’s proposed budget. With this proposal, we will see the divisions increase between rural areas that are not so affluent and able to carry the cost, am\nd more affluent ones that will. In a town like Madison where I live, the option to tax non-profits is not a viable source of revenue, forcing the town to increase property taxes to continue being viable. Without a fair and balanced budget we will be forcing older people to lose their homes, and rural town are going to have a hard time keeping up with basic services like roads, law enforcement, and schools. Being on fixed income, it is hard to be able to conceive of paying more in sales and property taxes, and for the increase in services that I will need as I age. The Governor’s proposal puts revenue at recession era levels, and it doesn’t add up so that means we are going to see more cuts at the state level in future years. This creates a huge amount of uncertainty for us aging Mainers- we don’t know what we can count on. I don’t know that I will be able to keep my house, or if I will be able to pass it on to my children as planned. On the other end this is going to be very hard and discouraging for young people in Maine as well. Our daughter, a single mom just barely making ends meet, would have to sell her house that she has worked so hard to get if her property taxes go, if the Homestead Exemption is cut for Mainers under 65, and she loses the chance to deduct her mortgage payment. Young kids that are already fighting student loans and low wages will lose their chance to get ahead. So many kids are just getting by already- this is making the American Dream even more unattainable. If we are going to start taxing non-profits and cutting so many programs in the state budget, how is that going to affect funding homeless shelters and other organizations providing services for people who are just barely getting by and depending on these services for life support? I hate to see the American Dream being put out of reach for so many of the population. My name is Quinn Gormley. I’m currently an undergraduate student at the University of Southern Maine in Portland, but I grew up in Damariscotta, where my father, a bus driver, and my mother, the director of our local library, still live and work today. For most of my life, my family has proudly belonged to the working class in this state. Growing up, my parents taught me the value of a hard day’s work, as my mother pulled sixty or more hour weeks, often with little to no pay, to keep the doors of the library open, and as my dad, who for my entire life has had to balance three different jobs just to help us make ends meet, waking up at 5 in the morning to drive a school bus, and often working late into the evening to get everything done. During the recession we were lucky. A school always needs bus drivers, and the library is valued by our community, so my parents managed to keep their jobs. Many in our town were not so lucky. And I so, as I read the details of this new budget, I am concerned. I am concerned that this budget is shifting the burden onto Middle Class families and families like my own are not going to be able to afford it. As a student who is used to examining things critically, when I look at this budget, I see the governor’s tax cuts as forced false choices that prioritize income and estate tax cuts for Maine’s wealthiest individuals and large corporations at the expense of property tax relief for families like my own. Every dollar in tax cuts is a dollar that will have to be made up for with spending cuts. It just doesn’t make sense to prioritize tax cuts that disproportionately benefit the wealthy and large corporations and leave the school bus drivers and librarians to fend for their own. As I navigate college with the hope to stay in Maine once I graduate, this budget does not seem to pave the way for a state with increased job growth, in contrast, states that have pursued this path in recent years have actually seen worse, not better, economic performance than neighboring states. They’ve had to cut state investments in education, and workforce training. I want to stay, work, and live in Maine but when my state pushes policies that hurt education, job training, and the middle class, I doubt that I can. This budget is the wrong path for Maine. It benefits a small percentage of Mainer’s, and the costs will be passed onto those hard working Mainers who are just trying to make it work. And so, I urge you; please oppose the cuts to corporate and income tax in this proposed budget. Thank you for your attention and all you do. The combined fiscal impact of these tax cuts in FY 2019 is about $677 million per year, according to Maine Revenue Services. That’s a tax cut equal to 19% of General Fund revenue forecast for that year. The sales tax increases in the Governor’s budget don’t cover the cost of that tax cut, and as a result, the state must cut spending by $266 million in FY 2019. That spending cut will grow into subsequent fiscal years as the corporate income tax cut fully phases in. Approximately $167 million of the governor’s proposed spending cuts will come in the form of the elimination of revenue sharing to towns and cities. Faced with a loss of revenue sharing and struggling to meet obligations to fund K-12 education, state and local governments will have to raise taxes and/or cut spending. That means higher taxes and/or fewer services like snowplowing, public safety, road maintenance, libraries, and parks. The governor’s proposal saves an additional $12 million by eliminating the homestead exemption for most Mainers. The governor’s proposal fails to specify the remaining $90 million in state spending cuts it encompasses. In fact, the Governor’s budget only specifies a two-year spending plan while proposing tax cuts that span multiple budget periods. The income and estate tax cuts proposed in the Governor’s budget, combined with revamped arbitrary limits on state appropriation growth, will prevent the state from reaching the statutorily-mandated goal of funding 55% of the cost of K-12 education in the state any time in the near future. Yet the Governor’s budget proposal includes a target of 55% for Fiscal Year 2017 and beyond. That is not a credible, achievable objective given the income and estate tax cuts included in a different section of the same budget proposal. 1. The governor’s tax cuts aren’t paid for and are fiscally irresponsible. They set Maine up for future fiscal crises, which will lead to deep cuts to education, health care, job training, and other foundational components of a strong, sustainable economy. By fiscal year 2019, the governor’s plan cuts income, estate, and corporate taxes by $690 million and raises sales and use taxes by $424 million. That leaves a shortfall of $266 million. The governor proposes to make up this shortfall, in part, by eliminating $167 million in state aid to towns for local public services. Legislators will have to make up the remaining balance by additional spending cuts beyond those that have been enacted over recent years. The governor’s plan locks in recession-era levels of revenue putting state spending as a share of the economy at historic lows. That means state funding for education, health care, and other services will continue to fall behind even as the economy recovers. It also means that Maine will have virtually no capacity to absorb unanticipated future expenses or to maintain critical public investments when the next economic downturn occurs. 2. The governor’s tax cuts force false choices and prioritize income and estate tax cuts for Maine’s wealthiest individuals and large corporations at the expense of property tax relief for middle-class Mainers. Every dollar in tax cuts is a dollar that legislators will have to make up by either raising other taxes or with cuts in spending for education and other services. At a time when the state is already failing to fulfill its commitments to Maine’s students and communities it doesn’t make sense to place a higher priority on tax cuts that disproportionately benefit the wealthy and large corporations. For example, eliminating the estate tax will cost over $37 million by fiscal year 2019 and benefit approximately 150 of the wealthiest estates. This potentially comes at the expense of making progress in funding K-12 education, supporting prescription drug assistance to low-income seniors, maintaining cost-effective health care prevention programs, or providing college scholarships to Maine’s future workers. Part of the governor’s plan includes eliminating the Homestead Exemption for Maine residents under age 65 which is equivalent to raising property taxes between $120 and $160 for hundreds of thousands of Maine families. Additional property tax increases are likely for middle-class Mainers as communities are forced to pick up more of the costs of K-12 education, public safety, and road maintenance as called for in the governor’s budget. While we don’t oppose cutting taxes, we believe it can be done in a way that doesn’t force false choices and that distributes the benefits more evenly across all income groups. Because this plan doesn’t maximize opportunities to export taxes to out-of-state visitors and part-year residents and places higher priority on tax cuts that deliver the greatest benefits to wealthy individuals and large corporations, it falls short in terms of securing adequate revenue and in improving the overall fairness of Maine’s tax system. 3. The governor’s tax plan is a failed prescription for growing Maine’s economy. The governor already secured significant income tax cuts in 2011 that are costing the state approximately $170 million a year in lost revenue. 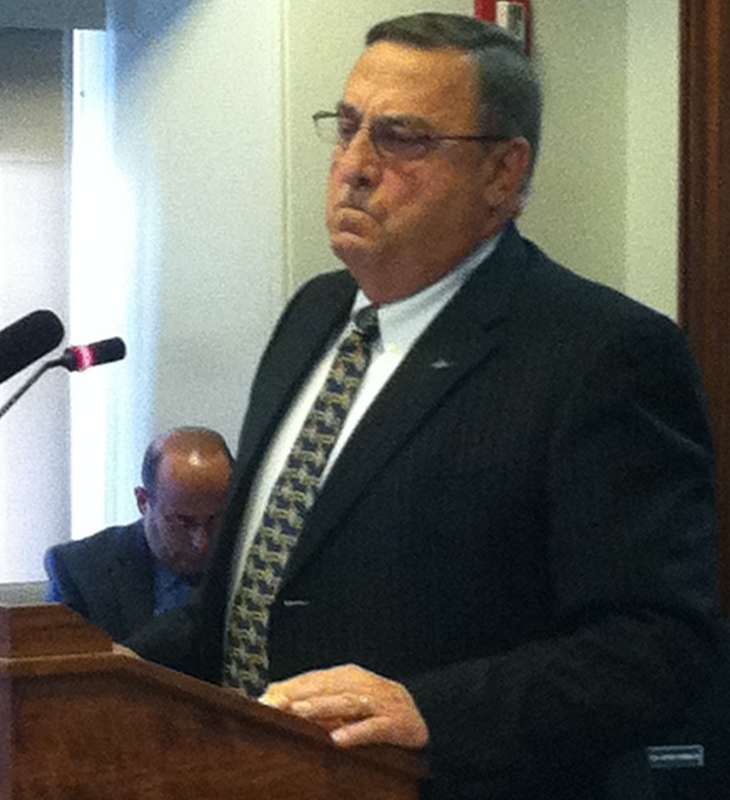 Since these cuts took effect, Maine has yet to see any significant improvements in our economy. According to the Center on Budget and Policy Priorities, private sector jobs in Maine since the 2011 tax cuts took effect grew by just 3% compared to 7% private sector job growth nationally. Evidence shows that Maine shouldn’t expect any dramatic improvement in its economy if the governor’s tax plan passes. States that have pursued this path in recent years have actually seen worse, not better, economic performance than neighboring states. They’ve had to cut state investments in education, workforce training, roads and bridges, and other pillars of a strong economy.One state, Kansas, has experienced a downgrade in its credit rating. Both recent experience and significant, credible academic research demonstrate that dramatic income tax cuts are not the path to prosperity. Note: As there will be weeks of hearings and work on the budget proposal, this will be part of a series of posts. This week’s testimonies will be broken up into daily installments of the highlights. Sifting Through The LePage FY 2016/2017 Proposed Budget: DHHS Meets With AFA, HHS. 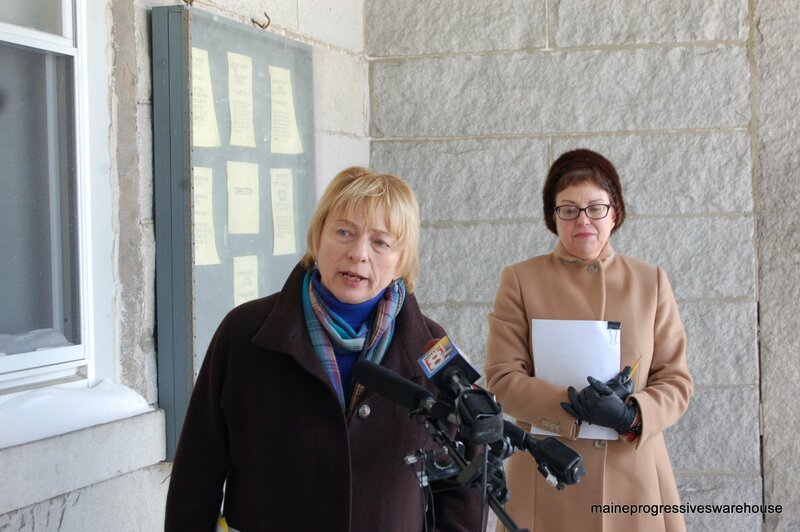 Attorney General Janet Mills has announced the largest ever one-time settlement in Maine history. The State of Maine filed papers Wednesday with the Superior Court settling the state’s complex lawsuit against Standard & Poor’s (S&P). The lawsuit, originally filed two years ago in Kennebec Superior Court, alleged that the credit ratings giant engaged in unfair and deceptive trade practices in connection with its ratings during the time leading up to the financial crisis of 2008. The settlement was negotiated in conjunction with the federal Department of Justice and 19 states and the District of Columbia. Maine will receive $21.5 million dollars for consumer protection efforts. The total settlement amount is $1.375 Billion. One half of the amount was paid the United States Department of Justice to settle its case. The other half was divided among the states that sued S&P. S&P is paying the Maine Office of the Attorney General $21,535,714.00, an amount commensurate with the economic harm caused by the company’s behavior and an amount which exceeds the profits from its activities, amounting to essentially a disgorgement of S&P’s ill-gotten gains. 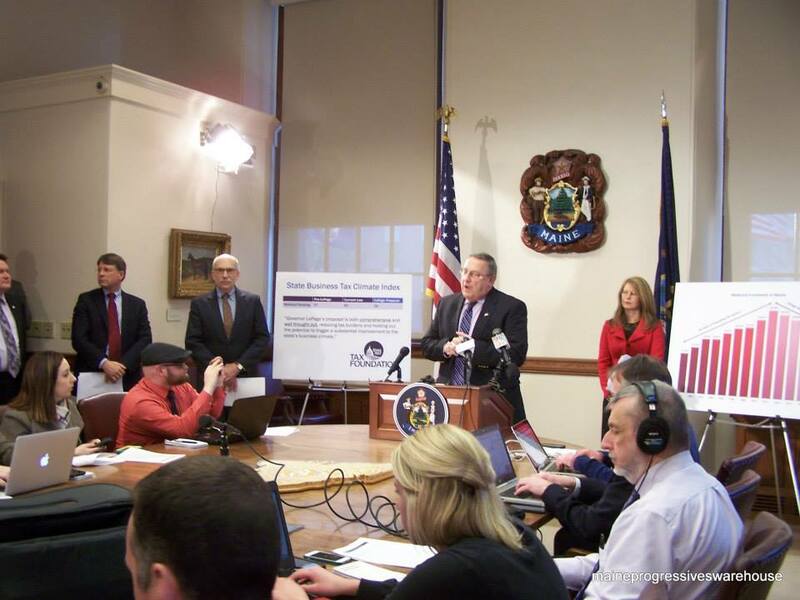 The state’s share will be directed toward consumer protection and education efforts. 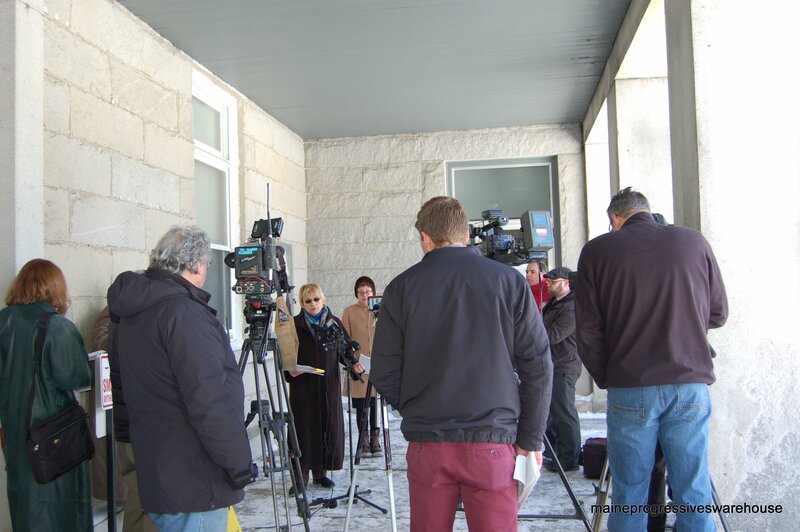 AG Janet T. Mills answers media questions at the Kennebec County Courthouse press conference. Also pictured, Asst AG Linda Conti. S&P representatives continued to issue and confirm positive ratings without adjustments to reflect the negative rating actions that it expected would come. There is ongoing similar multi-state litigation against Moody’s as well, but that is still in its preliminary stage. As such, Mills and her office were unwilling to discuss details pertaining to that case. As for distribution of the $21M, Mills said that she intended to speak with legislative leadership and the governor’s office with recommendations for usage of the funds. A portion of last night’s State of the State address. “We have limited resources and we have to stretch them as far as we can go. And one of the elements that has a burden in the last couple years has been those who have receiving funds, but they are here illegally. Now, am I compassionate about illegal aliens? Yes, I am. I would prefer that they do it the right way, but it’s very expensive, ’cause I’ve gone through that. We brought a young man here and we did it the right way and paid the bill. But this is the problem with some of the illegals that are here today. When a refugee comes here from a foreign country, they get a medical assessment and we know their health. But when they come here illegally, they don’t get medical assessments. And one thing that we don’t want to see is the uptick of hepatitis C, HIV and tuberculosis. But it is here. We are dealing with it. And it is very costly. So if nothing else, they should be getting a medical assessment when they get here. The governor’s speech as prepared. 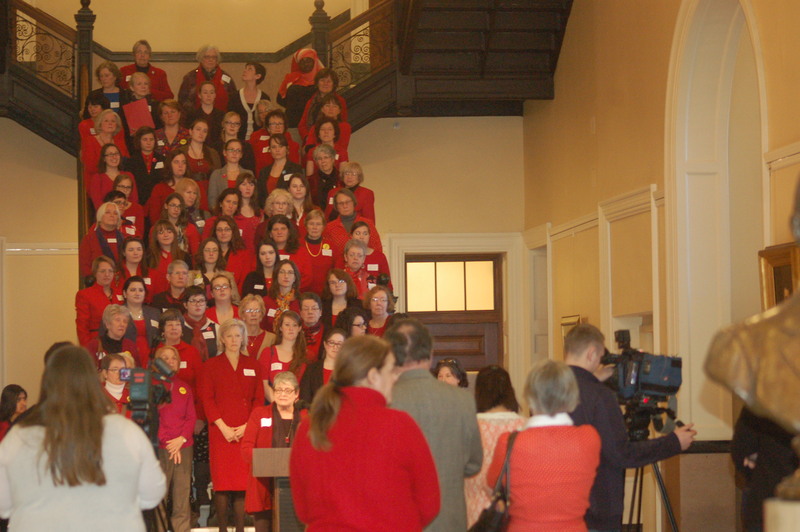 Members of the Coalition for Maine Women and the Maine Choice Coalition gathered at the State House to outline legislative priorities on January 20th (MORE PHOTOS HERE), as well as conduct a volunteer workshop on reproductive justice and breakout sessions on lobbying legislators, building communication skills and more. Women are 51% of the population, but are underrepresented at every level of government where policy decisions that affect our lives are made. On the first day of the new Congressional session, the majority party chose to fight for restrictions on abortion services as its top priority. And once again we need to fight bad bills in the Maine legislature that would restrict access to abortion. Last year we helped defeat a dangerous bill that would have allowed people to use their religious beliefs to break laws meant to protect us all. It’s back. Nearly 70,000 Maine people still can’t access the health care they need because obstructive politicians chose ideology over good health and economic common sense. But there’s still time for Maine to act. Too many politicians and people in the media use stereotypes and anecdotes to talk about policies that affect women and children living in poverty rather than looking at the real people struggling to get by. In Maine, more than 6 in 10 minimum wage workers are women and they need a raise. More than 80% of low-wage workers can’t earn a single paid sick day – most are women who have frequent public contact in jobs such as food service, child care, elder care, and retail. Only 12% of the American workforce has access to paid leave. While the data overwhelmingly demonstrates the importance of early childhood programs, more than 11,000 Maine kids do not have access to Head Start due to underfunding. Too many women and children still can’t live their lives free from violence. Sexual assaults happen every day, and too often our culture blames the victims rather than the perpetrators. Maine is the only state in New England that doesn’t have a policy against shackling pregnant inmates. 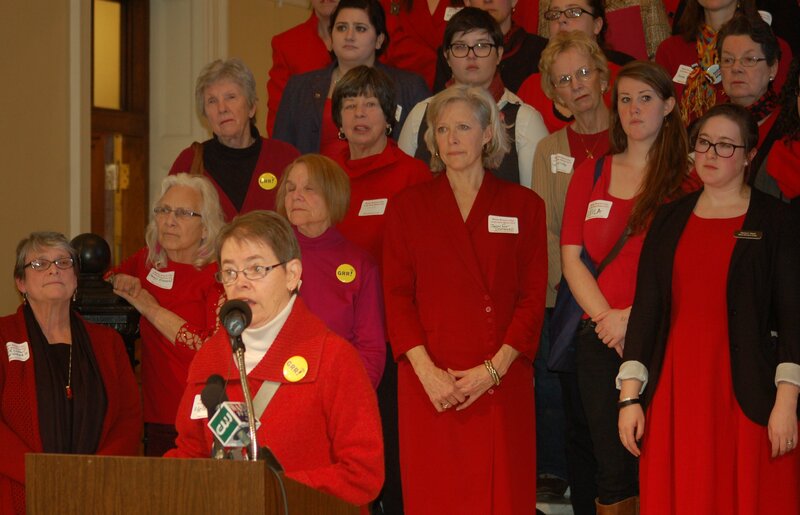 Maine women only earn 79 cents for every dollar made by their male counterparts. 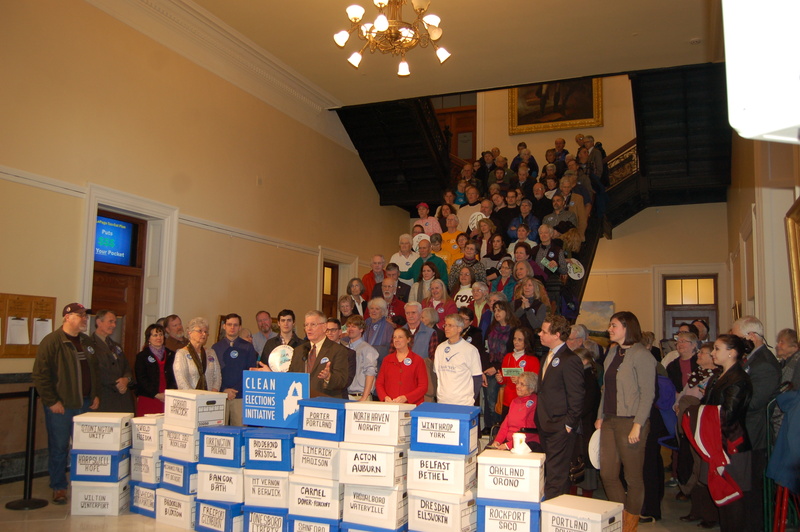 85,185 signatures were collected and delivered by over 200 Maine Citizens for Clean Elections volunteers to Maine Department of the Secretary of State’s office on January 21 after a rally held in the State House’s Hall of Flags. The signatures, gathered since the November election, should be enough to place a ballot measure before Maine voters for establishing new campaign donor disclosure requirements and replacing the “matching funds” provision for publicly-financed candidates. MCCE’s Andrew Bossie, BJ McCollister, Ann Luther, former State Senator Ed Youngblood (R-Brewer) and former Rumford GOP state representative candidate Jolene Lovejoy spoke to those assembled. 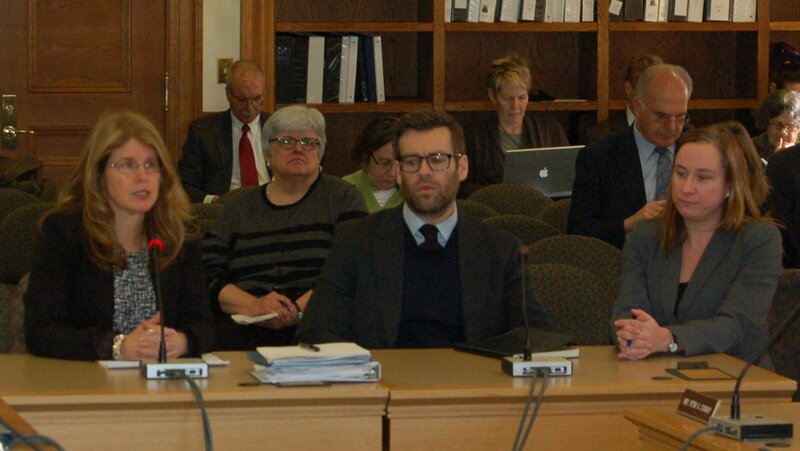 Maine Department of Health and Human Services (DHHS) Commissioner Mary Mayhew along with Alec Porteous and Stephanie Nadeau met with the 127th Legislature’s Appropriations and HHS Committees for three hours on January 22 to discuss the administration’s FY 2016/17 biennial budget as it pertains to the state’s largest agency (Governor Paul LePage’s 2016-2017 Biennial General Fund Budget Proposal can be found here). The entire meeting is below, recorded in five clips. The DHHS budget proposal identifies significant savings to help fund important new initiatives, with a net request of just over $6 million for the FY 2016-2017 biennium-this out of a total Department General Fund budget of more than $2 billion. Among those initiatives are $24 million in additional Medicaid reimbursement funding for nursing homes; $46 million to move elderly, disabled, and mentally ill patients off of waitlists for services; $28 million to improve access to primary care providers; and $14 million to fulfill Maine’s obligation to mental health under the Consent Decree. Roughly $11 million in savings from a proposed reform to General Assistance reimbursement to municipalities will be directed specifically to fund services under Section 21 for disabled Mainers on waitlists. A total of $20 million from the Fund for a Healthy Maine (FHM) will be repurposed away from third-party advocacy organizations and directed to fund increased access to primary care providers for Medicaid recipients. 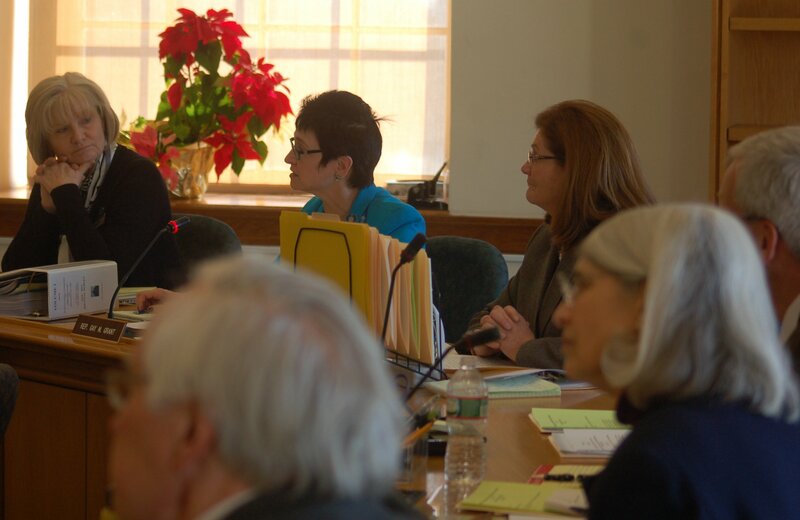 After the conclusion of the meeting, Daniel E. Wathen, Consent Decree Coordinator, met with the two committees to discuss multiple ongoing issues at Riverview Psychiatric Center and answer questions from legislators. The two clips of that meeting are below.